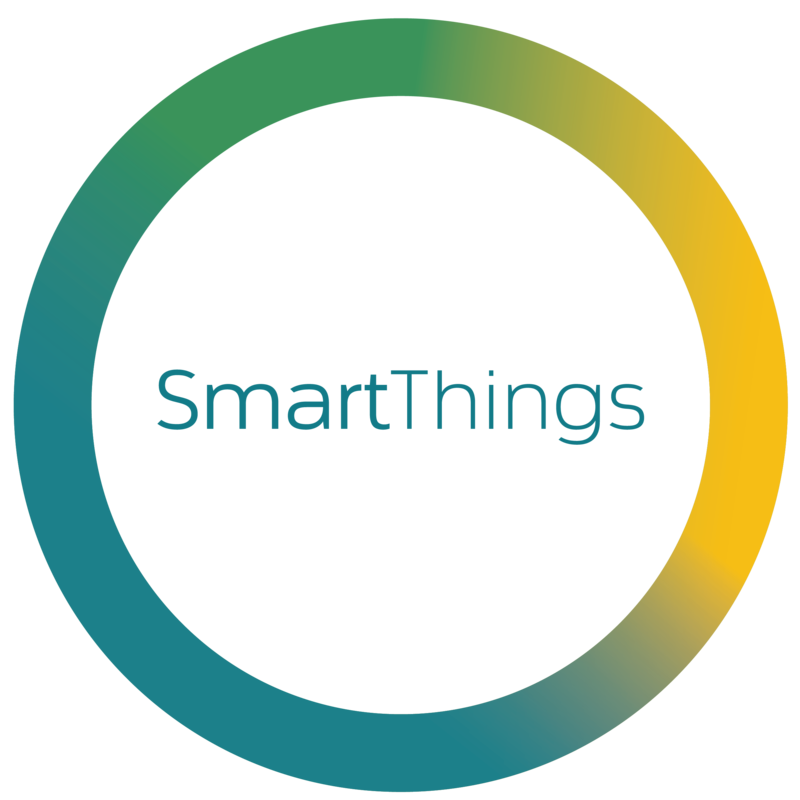 Published 17th March 2018 by Jon Scaife & filed under SmartHome & IoT. Last updated 12th December 2018 . 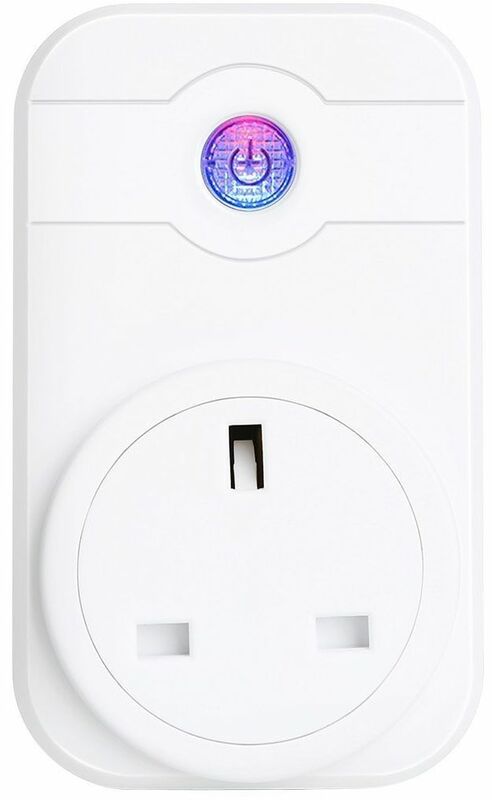 As of March-2018 I’ve tried 4 difer­ent makes of plugs with a vari­ety of res­ults. 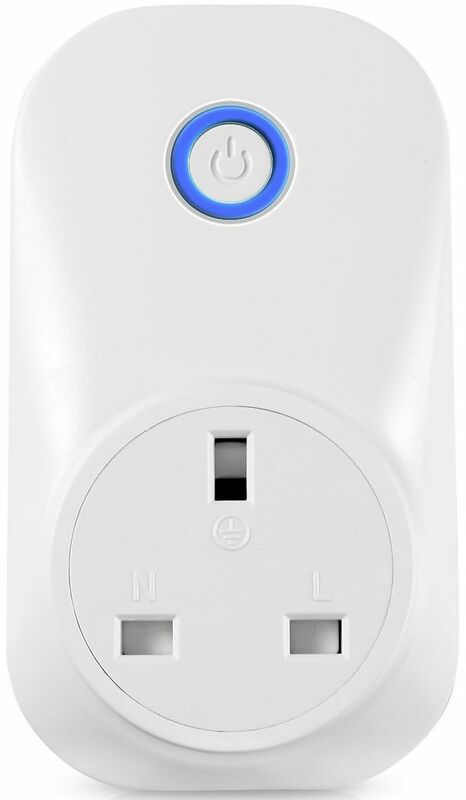 I have used Sonoff-Tas­mota which I build and install via the Ardu­ino IDE (see bot­tom of post for addi­tion­al info). I then installed a cus­tom device hand­ler, made by Brett Sheleski. 1. SWA1 (has a purple but­ton) — branded as COOSA, Annstory, Lingan­zh, and no doubt oth­er names too. Seems to be asso­ci­ated with the app “eFam­ily­Cloud”. 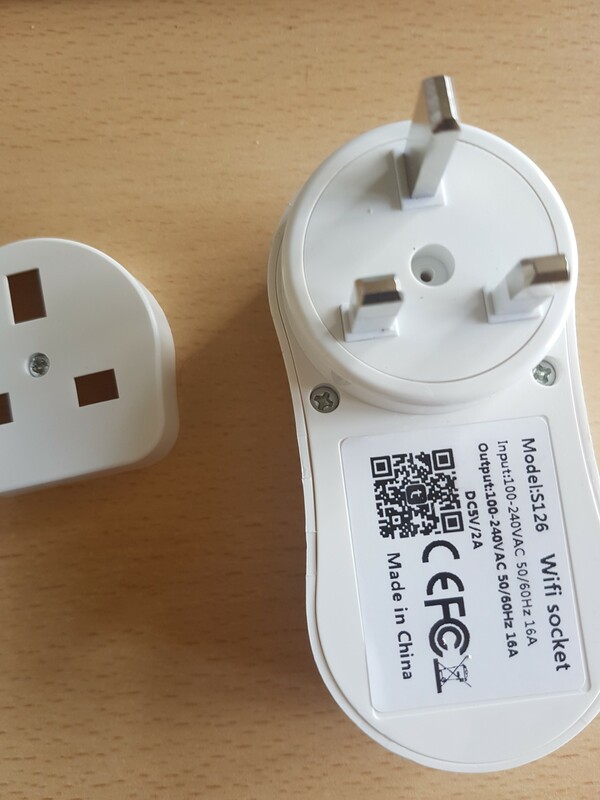 This has a second PCB inside it which is labelled as an SWA1. 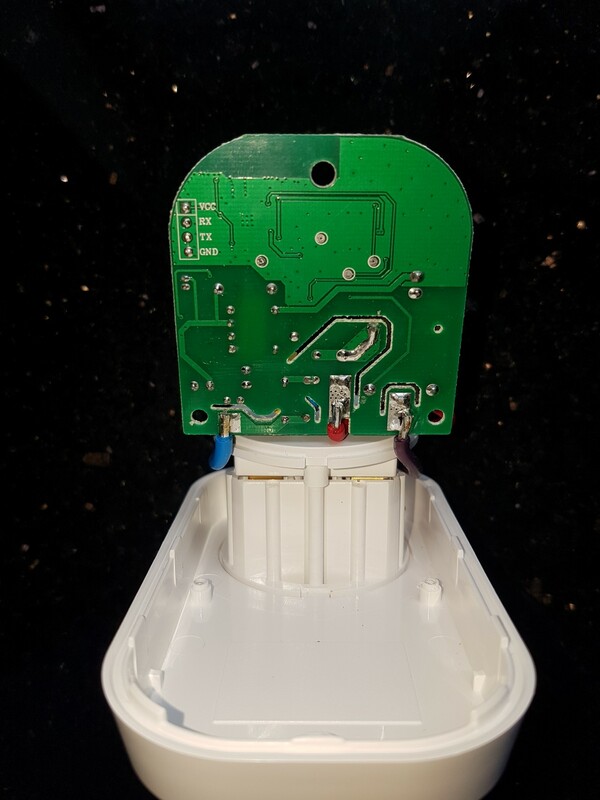 Googling this indic­ates that it uses an ESP8266 inside and a suc­cess­ful firm­ware hack has been doc­u­mented (with pins shown) by Nath­an Chantrell. I have fol­lowed Nathan’s meth­od with suc­cess, although the mod­ule type didn’t show up the first time (I made an error modi­fy­ing the code) but I was able to get the device work­ing by select­ing Gen­er­ic and then con­fig­ur­ing the pins myself. This worked but not quite flaw­lessly, so after a bit of read­ing I reflashed it. Nathan’s guide doesn’t make it clear that 3 changes are needed to the code before flash­ing — the large sec­tion at the bot­tom, and the match­ing name from it needs to be added to 2 lists above which should be obvi­ous when view­ing the file. Since reflash­ing (via the web inter­face) it has worked very well. 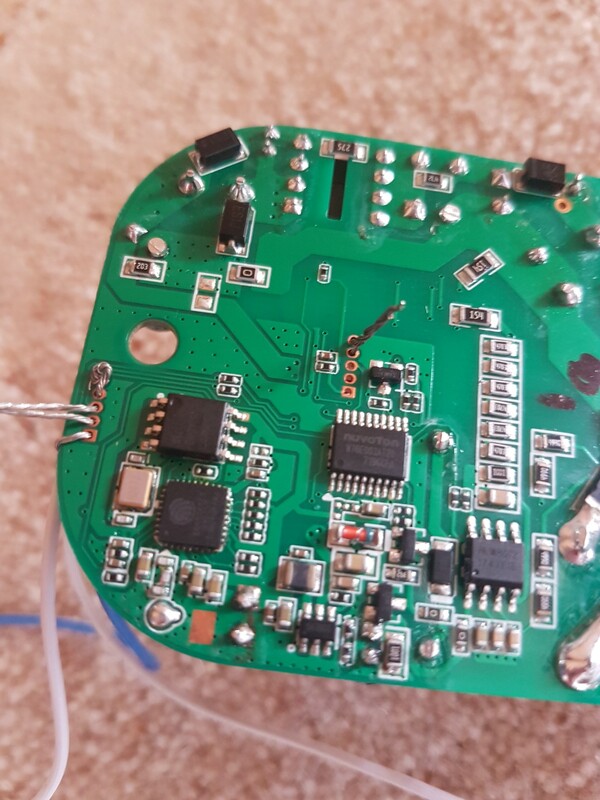 To keep the sol­der­ing simple I fed 5v from my USB adapter to the 5v pin, but I left the adapter set to 3.3v (i.e. the set­ting for the data pins). 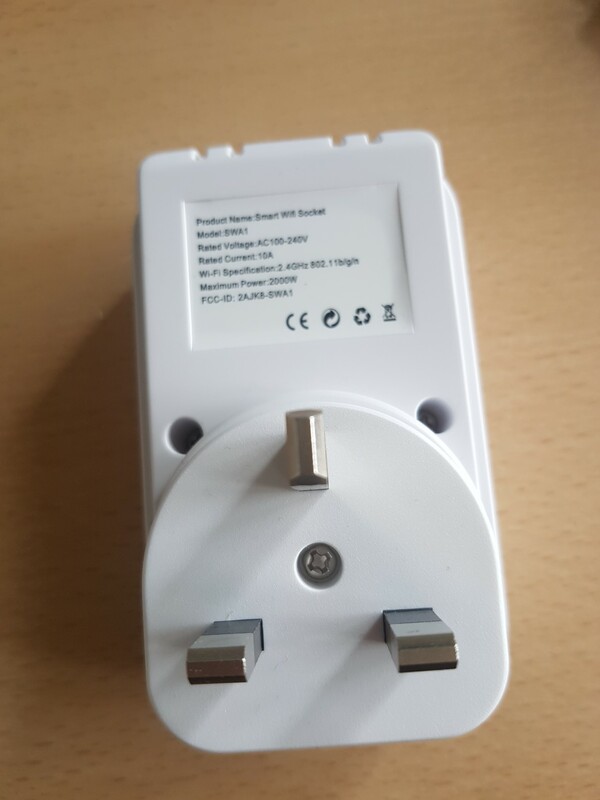 So it is worth hav­ing an adapter with both 5v and 3.3v pins and a jump­er to set the voltage of the data pins inde­pend­ently (as the CH340G I linked to on Amazon has). 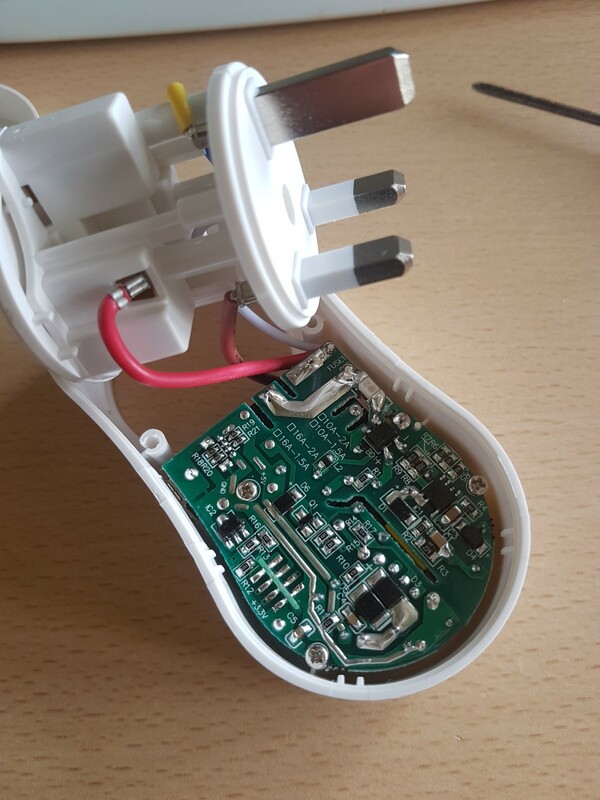 I was able to leave the pins attached by bend­ing them over to nearly 90degrees before put­ting the PCB back into the plastic cas­ing. 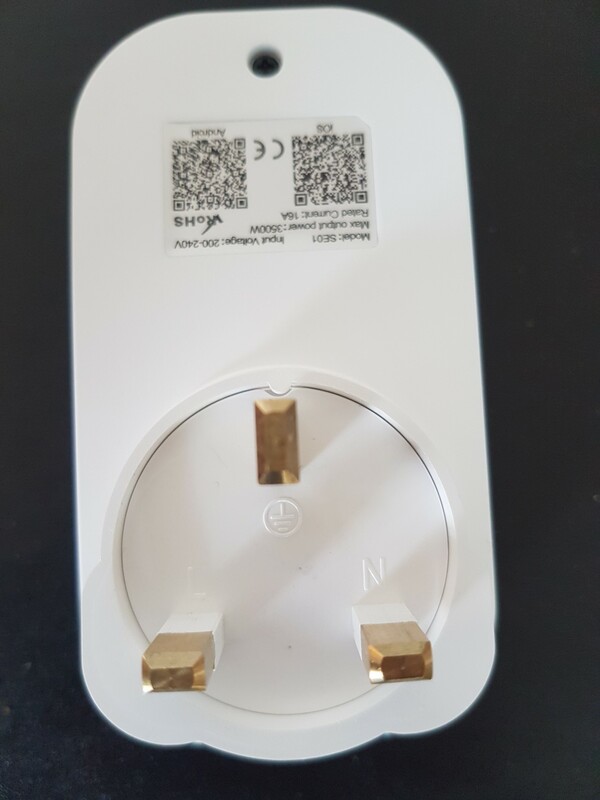 Inform­a­tion online indic­ated that the TYWE3S com­pon­ent in this smart plug con­tains and ESP8266 and hence it should (in the­ory) be flash­able. 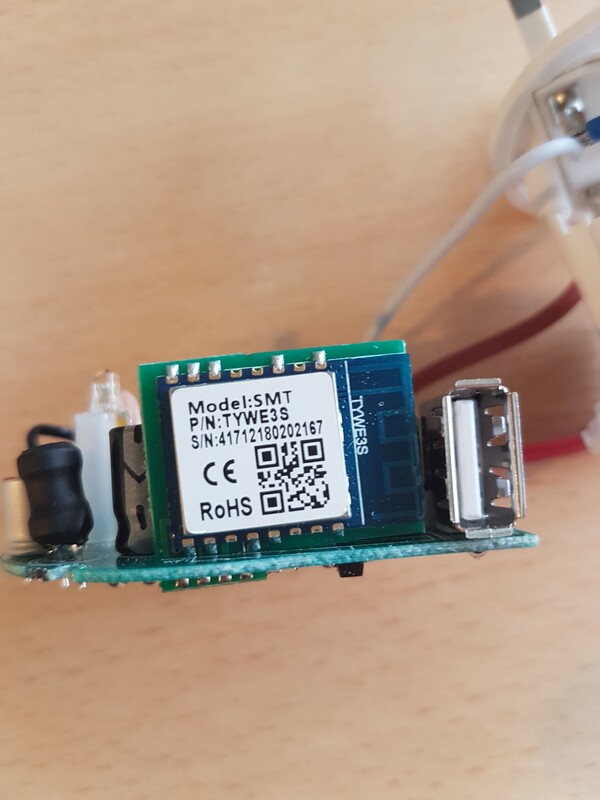 I have not as yet iden­ti­fied the cor­rect pins, altho there are labels for 3.3v and ground on the under­side and the TX, RX and GPIO0 pins on the TYWE3S are shown on a sim­il­ar device on a post on Git­Hub. 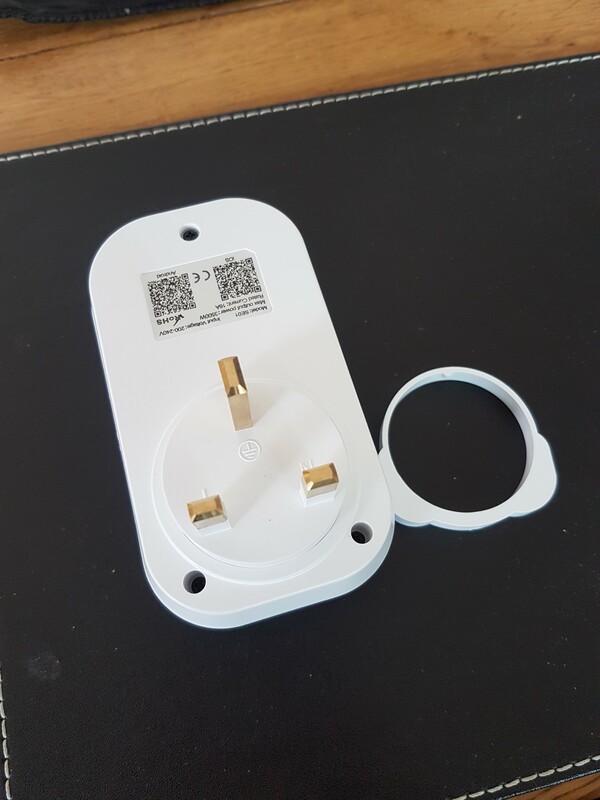 I found at least 1 oth­er thread with anoth­er per­son ask­ing about the same device, and some more inform­a­tion from Andreas Engel, but with 2 of my 4 “test plugs” work­ing I decided that try­ing to solder this head­ers on this plug was too dif­fi­cult and have ditched it. If you’ve got a stead­i­er hand than me then take a look at the link, espe­cially the second one and please let me know if you have any luck. 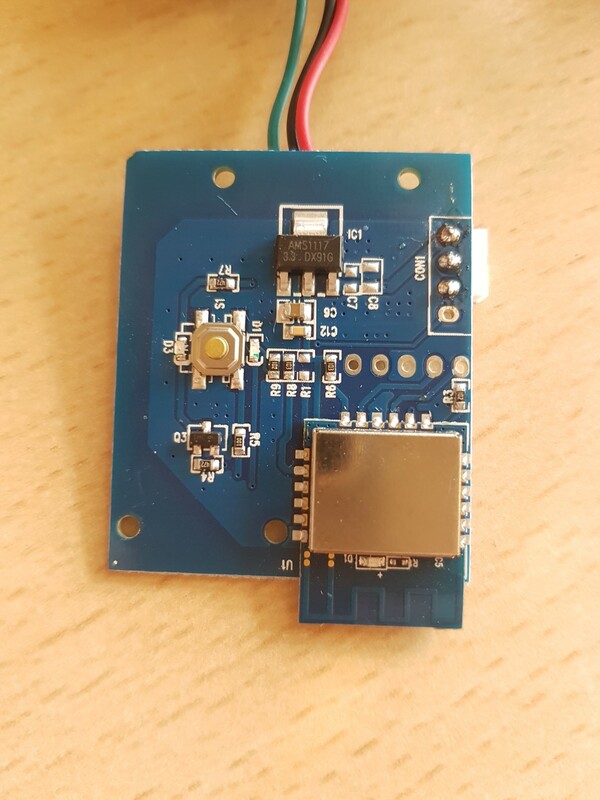 This has an ESP8285 chip onboard which is com­pat­ible with the ESP8266. It has trick­i­er head­ers to solder but once soldered it flashed per­fectly first time. 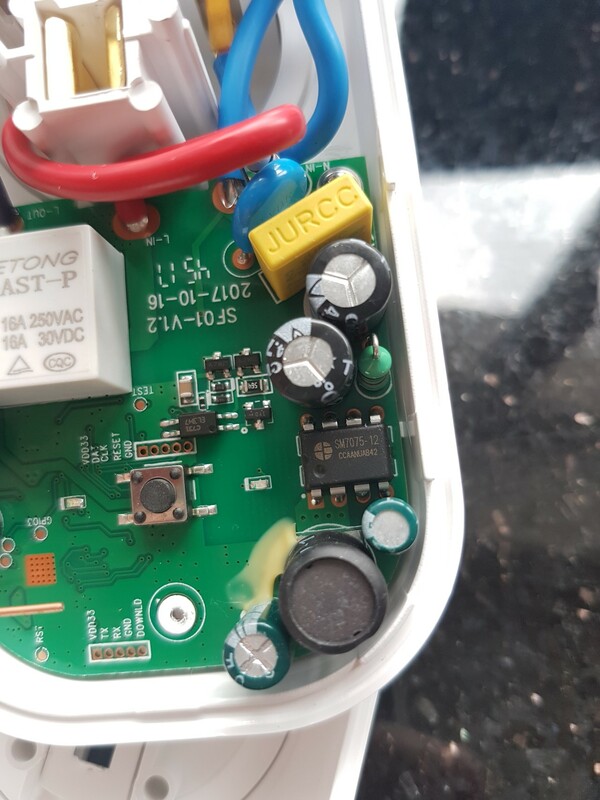 Just con­nect the 4 reg­u­lar pins (3.3v, ground, TX, RX) and hold the but­ton down whilst power­ing it up (1−2 seconds was enough). 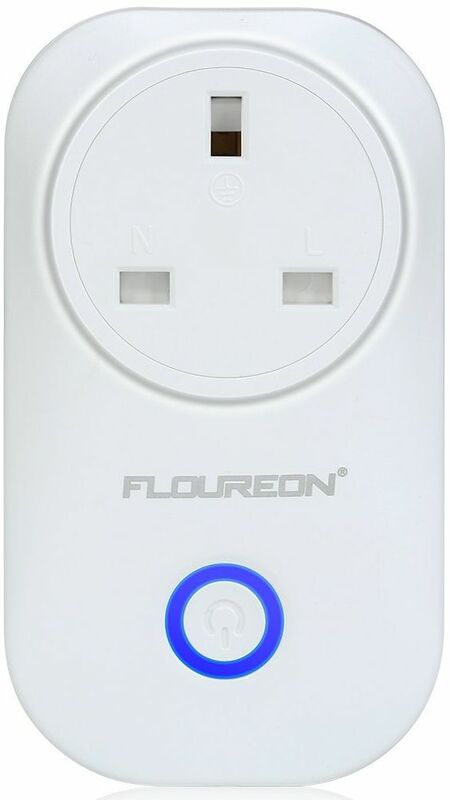 As this is effect­ively a Sonoff S20 clone I sus­pect it can be flashed more eas­ily with the NodeM­CU flash­er by fol­low­ing Eric M’s guide, S20 firm­ware, Device hand­ler, and Smart App code. 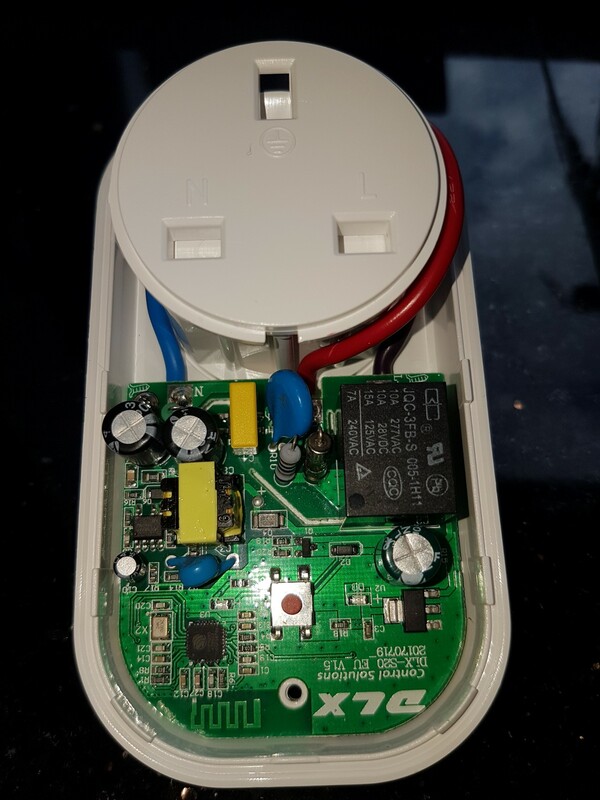 How­ever, I pre­ferred to go with the Tas­mota firm­ware as I had already set everything up to build and flash it, and it sup­ports the oth­er smart plugs which aren’t all Sonoff S20 clones. The choice of which way to go is up to you. 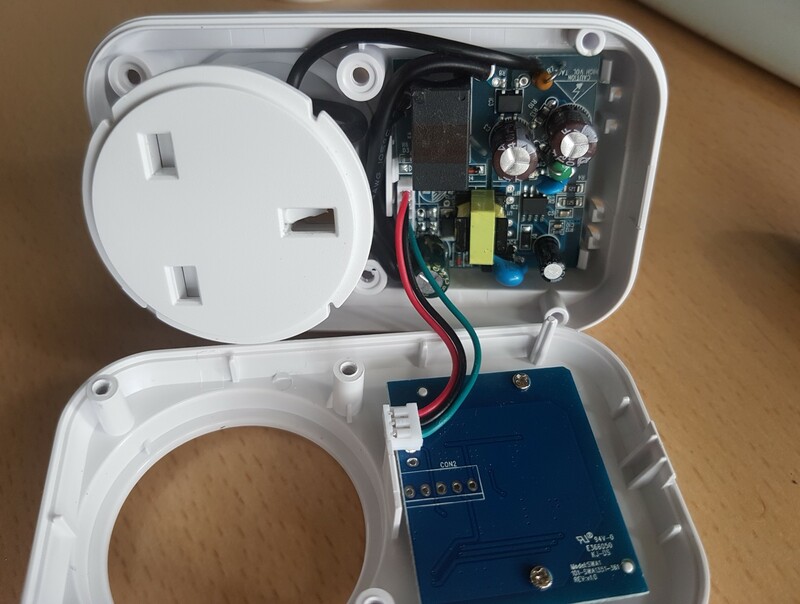 This has an ESP8266 and easy to access head­ers, although they are too close togeth­er to con­nect reg­u­lar pin head­ers to so I used loose wires instead. I have been able to con­nect mine to my PC and flash it. After flash­ing it boots up as expec­ted and the web inter­face of the firm­ware loads, but the unit crashes after around 10 seconds every time. I am not sure why this is, but it does it with sev­er­al dif­fer­ent firm­wares flashed onto it. I am hop­ing it is just bad luck with a duff unit. 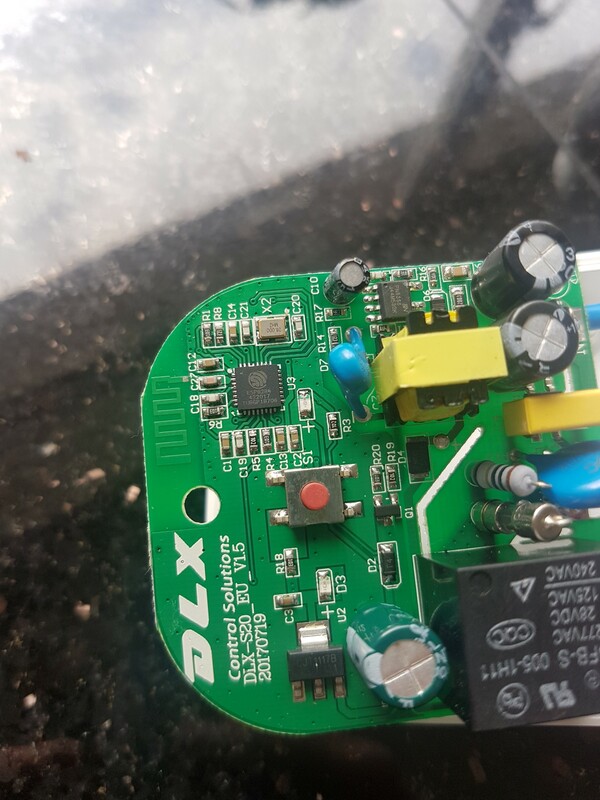 This was more fiddly than I had hoped as there are no pin head­ers on the PCB itself — instead you have to solder to the exist­ing join between the main PCB and the wifi card PCB. 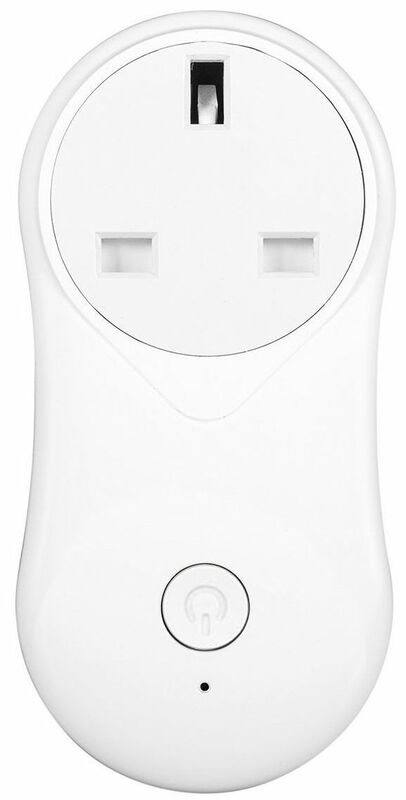 For­tu­nately there was a guide for a very sim­il­ar 313 device which (cor­rectly!) iden­ti­fied the pins needed. 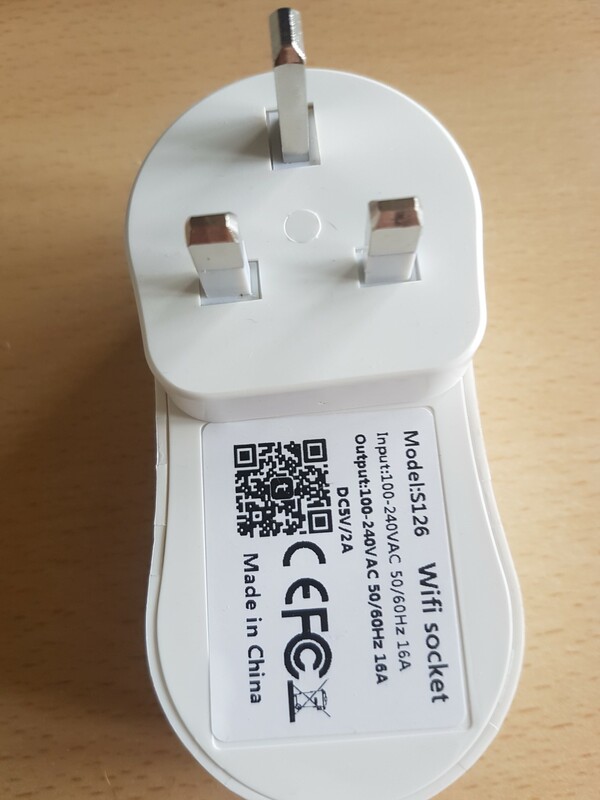 Flash­ing was suc­cess­ful and the only dif­fi­cult part was to identi­fy which device type to select (or cus­tom­ise) so that the LED, but­ton, and relay would all work. 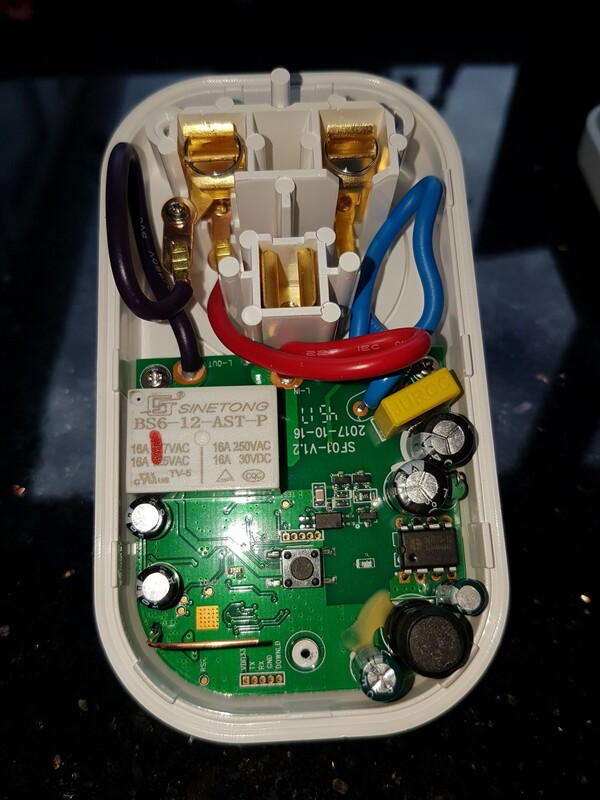 The GPI0 pin had to be shor­ted to ground phys­ic­ally, as hold­ing the but­ton down didn’t put the device into flash mode. This was a bit fiddly — I really needed 3 hands! 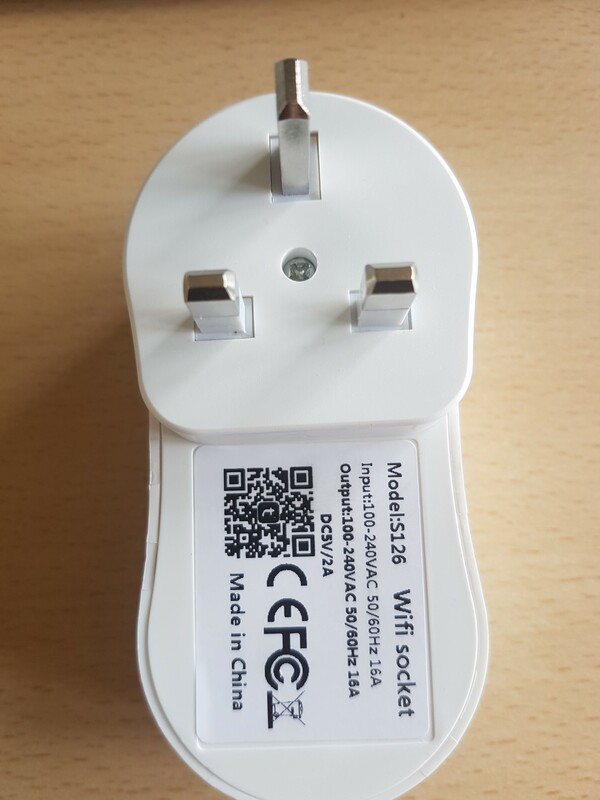 It is pos­sible to (mostly) con­fig­ure the device cor­rectly by using the gen­er­ic device type and set­ting GPIO2 as Led1i, GPIO13 as Button1 and GPIO15 as Relay1. If you also want the red LED to be always on then set GPIO0 as Led2i.